September 11th was yesterday and we take time to reflect on what happened 15 years ago. Terrorists attacked the United States on September 11th, 2001 . Specifically airplanes flew into the World Trade Center and the Pentagon. Our great nation takes time to remember the people lost, the families affected, and the heroes who came to help. As citizens of the United States we value what our country stands for. Also, we are think about how lucky we are to live here. 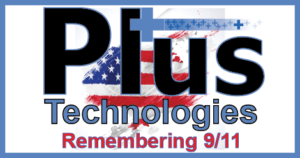 In addition, we would like to honor all our customers located in the City of New York, including the City itself, which has been a long time user of OM Plus print software in its Justice Department and school system. Furthermore, we appreciate all that you do to help us succeed in the output management sw, managed print, tamper resistant print, pull printing, and statistics markets. We will always remember September 11th!